Inventta Limited is a well established trading company with vast experience in sourcing and manufacturing in China and South East Asia. Incorporated in Hong Kong in 2004 and with offices in Shanghai, Singapore and Johannesburg the company has successfully traded products across several industries in different countries around the world. The company is made up of a multicultural talented team with extensive experience in developing export markets for Asian made products in Africa. Some of the main industries in which the company has successfully traded are Power Distribution Equipment for the Energy Sector, Construction Machines, Trucks and Special Vehicles, Power Tools and Hand Tools, Construction Materials, IT products, Safety Gear for the work place and Safety Equipment to name a few. The Company has an extensive base of suppliers in China and South East Asia as well as a strong ability to identify new, reliable ones in order to tailor to the requirements of our customers which include government institutions, semi-state bodies and private companies mainly in East and Southern Africa. We are flexible to act as Principal in the transaction or as an Agent on behalf of a manufacturer, depending on our customer’s requirements. Our logistic departments is second to none in finding the best shipping lines to ensure the products arrive in the shortest and most economical way to its destination, combining sea freight, inland transportation and special carriage when required. 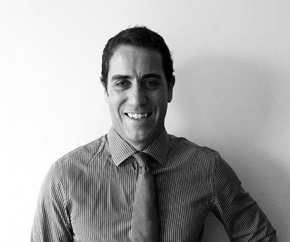 Born in Spain and graduated in Business Administration & Economics, Mario moved to China in 2004 to begin his activity as an International Trader. He has extensive knowledge in sourcing and manufacturing in Asia and a deep understanding of International Trade. He speaks Spanish, English and Mandarin fluently and spends his time between the Shanghai and Singapore offices overseeing the purchasing and manufacturing and keeping relationships with local manufacturers. 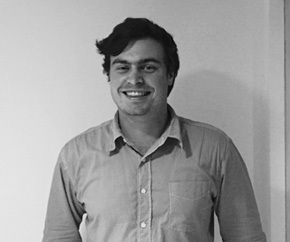 A South African with a post a Bachelor of Commerce in Supply Chain Management and Marketing Honours Degree from the University of Stellenbosch, Chris started his career in supply chain in Cape Town. He later moved to International Trade, supplying equipment to Power Utilities and focusing on rural electrification. He has extensive experience doing business in and travelling throughout Africa, finding opportunities both in the public and private sectors. He heads the Sales and client relationships in Africa and oversees the company’s office in Johannesburg. 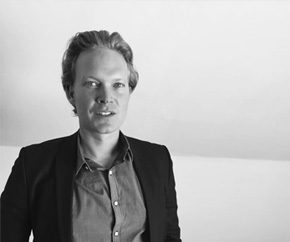 Adriaan is in charge of Procurement and Quality in the Energy Department. Born in South Africa and raised in Mozambique, he graduated in Electrical Engineering by the Nelson Mandela Metropolitan University and currently works in the Shanghai office overseeing production of equipment for the Energy Sector and managing relationships with suppliers. Alexandra joined the team as Head of Trade Compliance in 2012. Majored in Law from the University of South Africa, her role is to oversee agreements with suppliers, clients and partners as well as to ensure compliance of trades with the strictest International Standards. She is the Director of the Singapore Office and in charge of sourcing new suppliers in South East Asia. She speaks English, Dutch, Afrikaans, Spanish and Mandarin. Originally from Shanghai, Linda has worked in Shipping and Logistics in China for over 15 years. She joined Inventta in 2013 as Shipping & Logistics Specialists and now manages the worldwide Logistics department. She is in charge of finding the best routes by sea, air or land to ensure our products travel from A to B in the shortest, most efficient route. She's currently based in the Shanghai Office.